Available the book of the Apple White’s Story, in PDF, written by Shannone Hale. 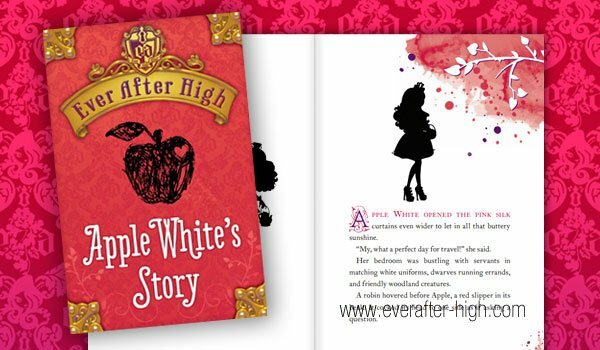 This is a little book that tells us a little more about Apple White, one of the main characters of Ever After High. She is the daughter of Snowhite and the seve Dwarfs tale. This book is short and easy to read and will make you to have a good time with Apple White and her world along 6 pages that has this book. 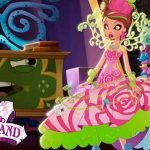 “Apple White opened the pink silk curtains even wider to let in all that …” Do you want to know how this story continues? So just…. 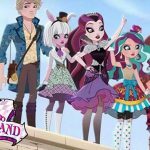 Loving it.Now Ever After High books, OMG!!! Ashlin Ella story book is a nice story. I read this books. I really like the books!!!!!! !